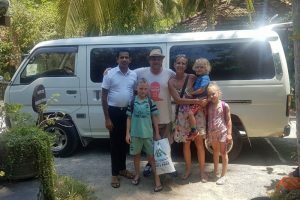 We hired Rohan for 2 days from Anuradhapura to Kandy. We wanted to visit Polonnaruwa, Sigiriya and Dambulla during our trip. Once we made contact via this site Rohan communicated very well and we planned our trip. Rohan is a great driver and spoke very good English. He also found us a very good elephant safari. We highly recoomend Rohan.